Headford has been working hard to put itself on the map in the last couple of years and it has certainly succeeded — As a pilot town for Galway 2020 it proved that small towns can have very big ideas. Since then, the number of active community groups in the town has grown significantly and cooperation and collaboration among the groups has benefitted the town as a whole and all helped to make Headford one of the most vibrant towns in the county. 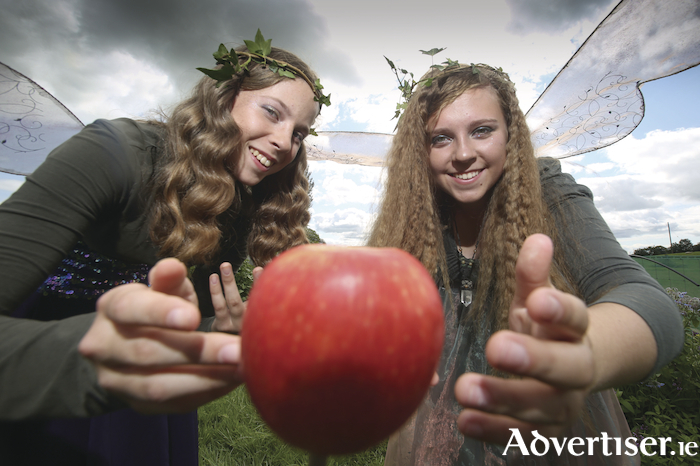 This vibrancy and cooperation will be on display when Headford plays host to The Moveable Feast, a celebration of the humble apple, on Sunday September 9 2018, taking place in the beautiful Headford Community Garden. The event is funded by the Galway County Council Arts Office with Creative Ireland and forms part of the Galway, Region of Gastronomy programme. This unique event which will feature apple tasting, apple juice making, cooking demonstrations and a cider-making talk. The public are invited to bring along their best apple bake and enter the competition for the coveted title of ‘2018 Apple Bake of the Year’. You can also treat yourself to tasty treats from food traders including Wildfire Gourmet Food Truck, The Great Poutini’S, Bliss Bites Bakery and Black River Wild Foods. There will be wonderful craft stalls including Mike Devlin Art and Bead-Jewelled by Eithne. Kids can have fun with the Solstice Arts Group, Carrot Puppet Theatre and Bricí Spraoi so there is something for all the family plus live music from Headford Music Works, The Barcelo Bros Trio and Headford Ukulele Group. There will also be poetry and spoken word from local writers including Collette Nic Aodha and Bobbie Sparrow. Festivities kick off with a parade from the Headford Community Orchard at St John the Baptist Church at 11:30am, escorted by drummers from Drumadore. The parade will buzz and flutter its way down towards St George’s Square and into the Community Garden (via the Headford Mart entrance ) at approximately 12:30pm. Headford, with its thriving community garden, newly planted community orchard and regular cottage market is ideally placed to host this event, so come along on Sunday September 9 and bring your hearty appetite, a picnic blanket and a sense of fun. For further information find The Moveable Feast on Facebook or call 086 3151852.